The Federal Government said it is working hard to prevent reoccurrence of Lassa fever in the country. The Minister of State for Health, Dr Osagie Ehanire, said this at the maiden Lassa Fever International Conference in Abuja. Ehanire said that in 2018, Nigeria experienced the largest occurrence of confirmed Lassa fever cases. “We have developed a Lassa fever research plan that is aligned with the global research agenda. “We shall invest more in training staff, acquiring necessary equipment, developing best protocols and embracing best practices that will help us achieve results. “I hope all global efforts come to fruition in the near future, so that we have more tools at our disposal for swift prevention, detection and response to such disease outbreaks,’’ he said. 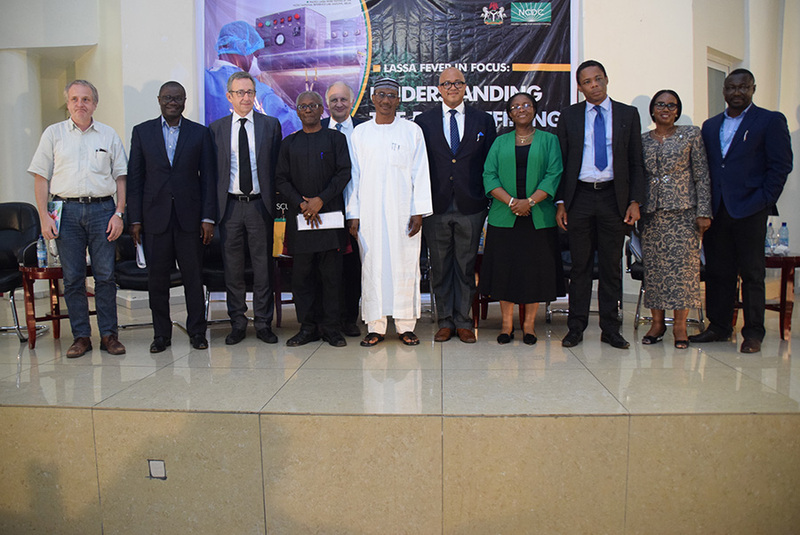 Also, Dr Chikwe Ihekweazu, Chief Executive Officer, Nigeria Centre for Disease Control (NCDC) said the conference was aimed at sharing the knowledge gained over years. Ihekweazu said that “We are no longer comfortable with being recipients of knowledge. We want to co-create knowledge that defines one of the biggest issues in Nigeria’’. He said that at least 150 research papers from scientists and institutions working on all aspects of Lassa fever were to be presented at the conference. He described Lassa fever as a viral haemorrhagic fever breaking out nearly every year in the past 50 years. “With a case fatality ratio of 25 per cent, one in every four people diagnosed with Lassa fever dies from the disease, but NCDC’s target is to push fatality ratio down to less than five per cent in the next 10 years,’’ he said. Nasarawa State Governor, Umaru Tanko Almakura called on the entire West African countries to braze up to the challenge and end Lassa fever. Almakura who is a survivor of Lassa fever and also lost a son to the virus said that he was building a modern laboratory in Lafia as part of his contribution to end the disease in Nigeria.